How are you all? Sorry for the delay between posts. Internet wasn’t great at our last hotel. So as you may have seen, in the last few days we have had some great success in Mendoza. We have played 3 games, firstly beating USA 1-0, then drawing with the Argies 1-1 to get us into the final, then beating the Argies last night with a goal in extra time. What an exciting game it was. We had a really tough match against them the previous day so were all feeling very tired and sore. Cronky had played a blinder to keep us in it and we were very happy to draw with them which put us in over the Germans. The game was as tough as we had expected but this time we were all over them in the first half. I only had a few saves to make and so we were looking good going into half time. Our only problem was that we had lost one of our defenders Anna who got hit on the hand. Turns out she had smashed her knuckle so today flew home for surgery. 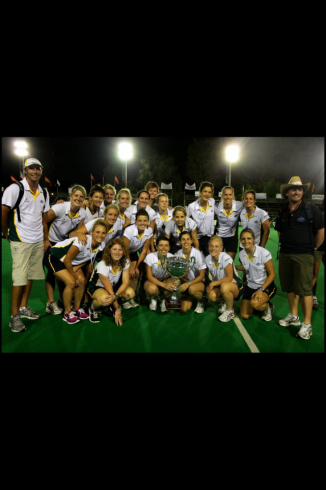 One of the other girls from perth has been called up and so will come to play the second leg of the tour here in Rosario. Anyway we didnt come out aswell in the second half and had 2 goals scored against us, both from Pc’s. Ash and Casey combined well to get one back but it was starting to look like it was all over. With less than 30 seconds to go we headed into the circle and just as the siren went the umpire blew a short corner for us. The Argies were going nuts of course but the umpire stuck to her guns. 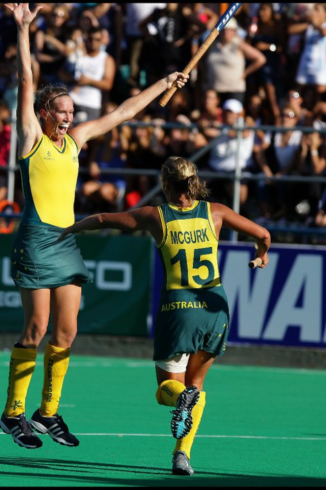 We had a secret weapon up our sleeves in Jodi Shultz who is a big Queensland girl who can drag flick. We hid this skill the whole time and chose to pull it out as a last chance effort to draw the game. It worked. Great goal and therefore extra time. We regrouped and decided that we didnt want to be out there any longer than necessary so said one chance and that has to be a goal. Within a minute we had another short corner. Secret weapon stepped up and bang..all over. 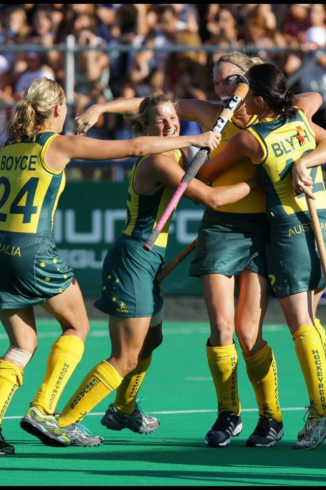 Great effort by Jodes and our first gold medal as the new hockeyroos. 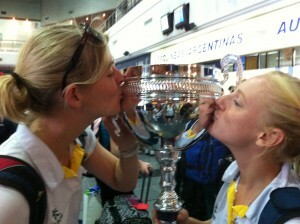 This afternoon we arrived in Rosario after a 2 hour flight and a 5 hour bus ride. Here we play all the teams again in another 4 nations tournament. Plan is to do it all again but with a few injury concerns it could be a bit difficult. Im looking forward to spending a bit of time wandering rosario again. It feels like only yesterday that we were here for the world cup.